Well, this could be very interesting. According to the latest reports, the 2018 Ram 2500/3500 Heavy Duty won’t come totally redesigned as we thought earlier. 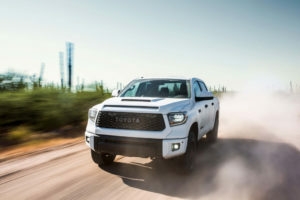 The impressive truck will rather receive just small cosmetic changes on the exterior and interior. On the other hand, the most important part of the vehicle is about to receive the new revamp. Yes, the amazing 6.7L Cummins I-6 engine will be boosted, but you wouldn’t believe what are the plans. As you probably know, Ram already announced that you can pick an optional powertrain with 900 lb-ft of torque. These were great news indeed, but now this is not enough. It’s not enough because Ram’s both biggest rivals in the segment made some changes and outperformed them. Ford’s updated 6.7L Power Stroke turbodiesel V-8 is now capable to deliver 440 hp and 925 lb-ft, while General Motors now offers its Duramax mill with 445 hp and 910 lb-ft. They are better from Ram at the moment, but this will change in the coming year, because the 2018 Ram 2500/3500 Heavy Duty should have an upgraded 6.7-liter Cummins that’s will be able to produce a whopping 1,000 lb-ft of torque. Of course, the car manufacturer will also make some changes on axels and chassis, so the truck may be able to keep holding on this amount of power. 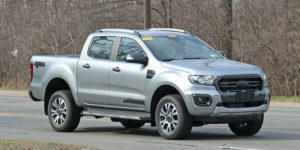 Moreover, we are pretty sure that there will be at least some bracing on the chassis, because the pickup will likely surpass Ford’s 32,500-pound of towing capacity. Like we already sad, the 2018 Ram 2500/3500 will sport just small cosmetic change on the exterior. As you may see, manufacturer won’t get rid of the distinctive grille crosshairs, which is really great. The only changes will be on the headlights and bumper, yet the cab should get more luxurious treatment and new tech. The impressive Heavy Duty pickup truck will arrive sometime in 2017, most likely before summer. I’m really looking forward to the 2018 3500 as I ordered one a few weeks back. The sales guy just called me today and said we’ve been given a VIN number. I probably won’t see it for another 2 months though.